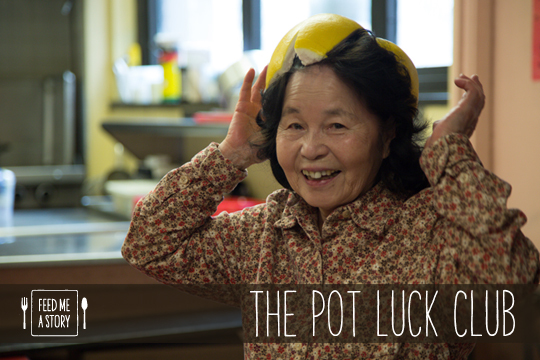 In this documentary-style video cookbook, Feed Me a Story collaborated with the spirited community at the LaGuardia Senior Center. Seniors started by making a pot of stone soup, a recipe from an old folk tale, that encouraged sharing and developing communities ties. They also cooked dishes of their own and shared them with us. The video was screened as a part of a potluck performance at Lu Magnus Gallery.